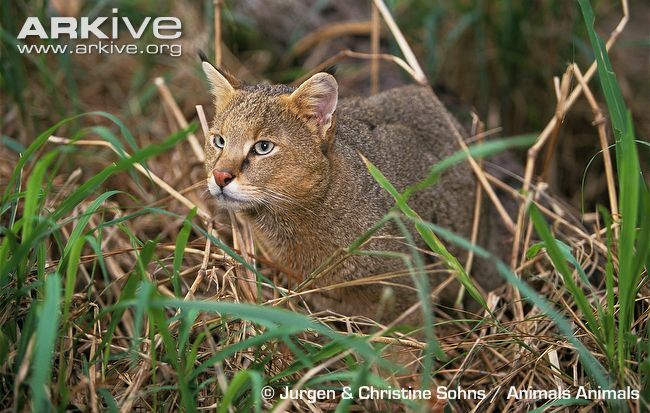 The Jungle Cat (Felis chaus) is a common wild cat species throughout Asia, preferring riverine and wetland habitats in the west of its range. However accelerated habitat loss has seen declines of this species where its range is close to urban and industrial development. Jungle Cats seem to adapt to certain agricultural land uses, although this can lead to predator conflict with farmers. 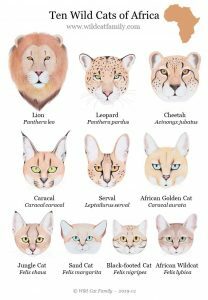 The global conservation status for the Jungle Cat is Least Concern (LC); although there has been declines in parts of its range. 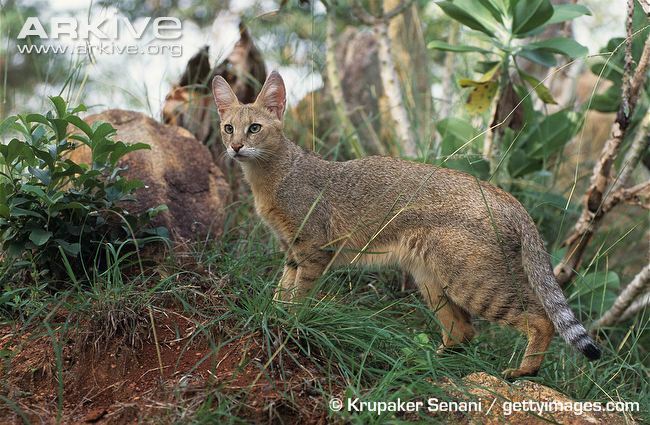 Rapid habitat loss, poaching and wildlife conflict are the main threats to the survival of this wild cat. 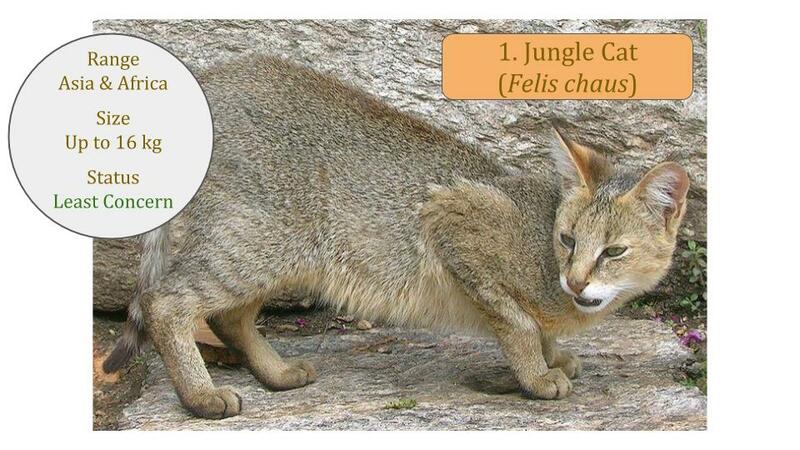 Habitat use and diet of two sympatric felids - the Fishing cat (Prionailurus viverrinus) and the Jungle cat (Felis chaus) - in a human-dominated landscape in suburban Kolkata. MSc Thesis, National Centre for Biological Sciences Tata Institute of Fundamental Research. Majumder A., Sankar K., Qureshi Q. & Basu S. 2011. Mukherjee S., Krishnan A., Tamma K., Home C., et al. 2010. Ecology Driving Genetic Variation: A Comparative Phylogeography of Jungle Cat (Felis chaus) and Leopard Cat (Prionailurus bengalensis) in India. PLoS ONE 5(10). Ogurlu I., Gundogdu E. & Yildirim I. C. 2010. Population status of jungle cat (Felis chaus) in Egirdir lake, Turkey. Journal of Environmental Biology 31, 179-183. Duckworth J. W., Poole C. M., Tizard R. J., Walston J. L. & Timmins R. J. 2005. 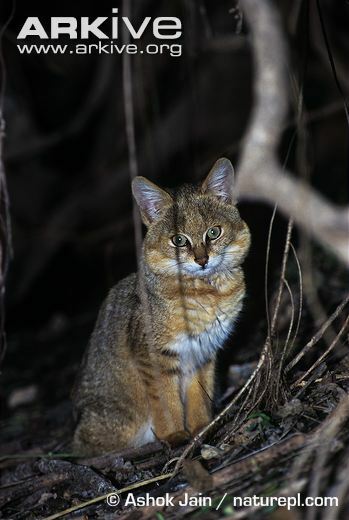 The jungle cat Felis chaus in Indochina: a threatened population of a widespread and adaptable species. Biodiversity and Conservation 14, 1263-80.